In order to provide high-quality food for your entire family throughout the year using your garden, you have to plan well. If you grow the majority of your food at your homestead garden, this guide will help you in achieving a successful and plentiful produce. With the correct planning and use of the garden; you may yield a big amount of calories per foot to ensure food sufficiency at your home. 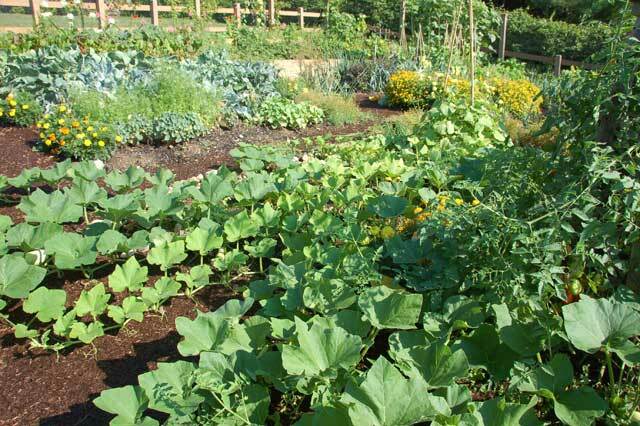 You need to take the following activities into consideration if you want to get enough supply from your garden. Establish your goals and work towards them. You may start by making a list of the foods which you and your family prefer while also noting the quantities. You may use a chart to make your plan better. It will guide you on how much of each of the food crops you need to grow. This also helps you to organize the garden. Choose an appropriate gardening method. It is advisable to choose an appropriate method for your gardening. The following is a list of gardening methods which will help you in yielding a great amount of calories. You may choose any that suits the nature of your garden. The following are examples of great food crops that will do well in your homestead garden with brief explanations about their benefits. Potatoes are a good source of both proteins and carbohydrates. They provide more carbohydrates per square foot than any other common vegetables. Potatoes also yield more protein per square foot than all other vegetables, except for beans. They can be stored for many months without any need for electricity or processing which adds to their benefits. Legumes such as beans, peas, cow-peas and lentils are nutritious, rich in protein and easy to grow. They can be stored for long periods during winter without need for electricity or processing. Different legume species do well in different conditions. It is recommended to grow many different species for a better calorie per foot yield. Corn is the most perfect grain for growing and processing on a small scale garden. The harvesting process is easy and they do not require threshing. Fresh corn is rich in vitamins C, B1 and B5. It also contains plenty of dietary fiber, manganese and phosphorous. Sweet corn provides delicious and fresh cobs during summer and a crop of dent corn provides you corn flour. Squash are another great source of carbohydrates, vitamins C and A as well as antioxidants (carotenoids). They thrive well in most gardens. Staple crops are very ideal if you rely on your homestead garden to feed your family. The best staple food crops for ensuring food self-sufficiency are easy to harvest and store. They return great yields and are calorie-dense to offer your entire family the food energy they need each day. Jack Neely is a fitness expert, survivalist, and world traveler. He’s been in several life or death situations, and he’s making an effort to spread his knowledge around the web to help others survive these situations as well. He’s also on the content team at The Tactical Guru. This entry was posted in Year Zero Survival Blog and tagged eco-gardening, garden tips, gardening, home food supplies, home grown, Homesteading Emergency Preparedness Gardening Natural Remedies – medicine from the Earth Do It Yourself Projects Food Storage Skills – Canning, Jack Neely, survival garden, urban gardening by Guest Writer. Bookmark the permalink.